Eduardo Orellana Shooting Raises Apartment Security Questions; Was This Tragedy Preventable? Could the senseless loss of a Dallas father have been prevented and are justice and compensation available to Mr. Orellana’s family? Security measures are in question after a violent Dallas apartment robbery claimed the life of Eduardo Orellana September 19, 2018. 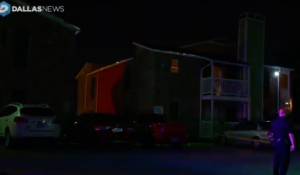 Dallas police told NBC DFW, Mr. Orellana’s “children found him outside their apartment….in the 3300 block of Webb Chapel Extension,” around 10:30 p.m. He was shot during an apparent robbery attempt. Four men have since been charged in connection with the shooting, according to The Dallas Morning News. What security measures, such as gated-entry, fencing, bright lighting, surveillance cameras, and security patrols, were in place to deter crime and protect Mr. Orellana at the time of the shooting? Generally, property owners are required to protect all those legally on the premises from any foreseeable harm. Should the facts of this matter reveal that the apartment complex owner failed to provide adequate security to protect those on its premises, Eduardo Orellana’s family may seek justice and elect to pursue legal claims for his wrongful death.